Note: Refer to Chapter 3 for further details. are to be fitted, refer to their manufacturer’s recommendations. The maintenance intervals in this manual are provided with the assumption that you, not the dealer, will be carrying out the work. These are the average maintenance intervals recommended for vehicles driven daily under normal conditions. Obviously some variation of these intervals may be expected depending on territory of use, and conditions encountered. If you wish to keep your vehicle in peak condition at all times, you may wish to perform some of these procedures more often. We encourage frequent maintenance because it enhances the efficiency, performance and resale value of your vehicle. If the vehicle is driven in dusty areas, used to tow a trailer, driven frequently at slow speeds (idling in traffic) or on short journeys, more frequent maintenance intervals are recommended. 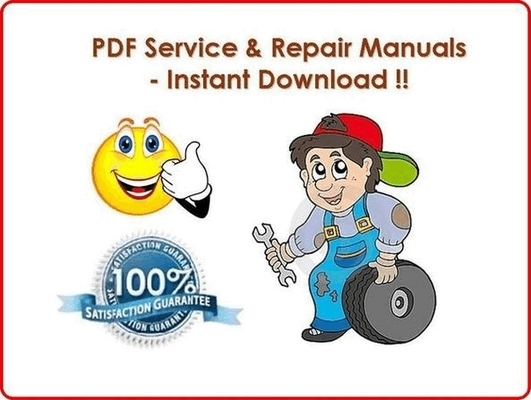 USE THIS DIY FACTORY SERVICE MANUAL = GET YOUR REPAIRS DONE BY TODAY! = FULL VALUE FOR MONEY :) !! THANK YOU FOR VISITING THIS PAGE. HAVE A NICE DAY THERE! !